VT Create - a unique pattern on the architectural theme of the development team VTEM. 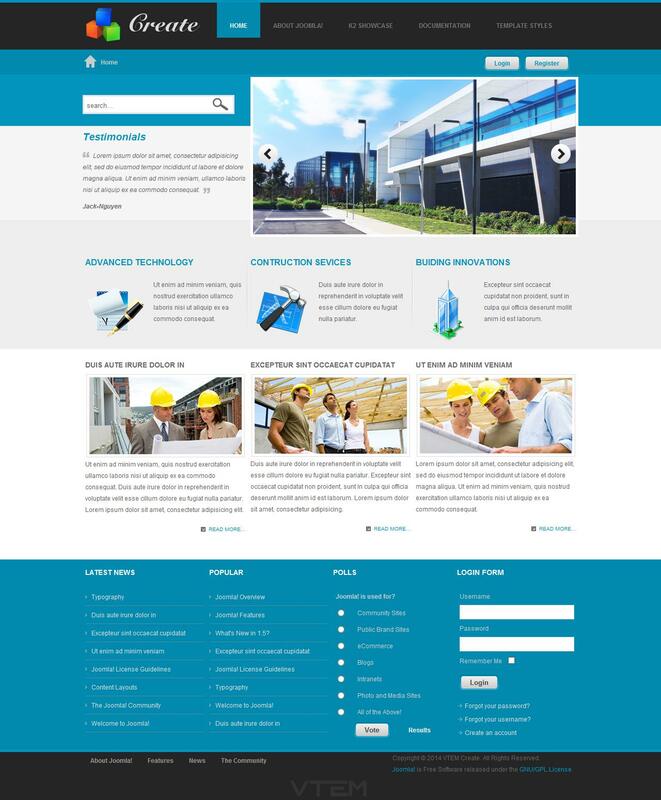 This template is made in bright colors and has 4 built-in color styles (blue, green, orange, red) and 36 module positions that will provide the desired location of all visible elements on the site. Built brand image rotator will display for users of the site are the most popular materials that require special attention. Create - the ideal solution for creating websites - cards companies. Among the advantages of the pattern is worth noting fast loading pages. support all browsers and tablet devices.